Since tax deductions are an often touted benefit of home purchases for first time buyers, it’s just as reasonable to wonder about closing costs tax deductible perks as it to ask oneself ‘are property taxes deductible?’ The answer is affirmative on both counts, though specific conditions apply both to the property tax deduction (also known as the real estate tax deduction), as well as to closing costs. By and large, the vast majority of your settlement fees, settlement charges, or closing costs qualify as tax deductions for homeowners. You can deduct most of them for the tax year during the course of which you purchased the home. 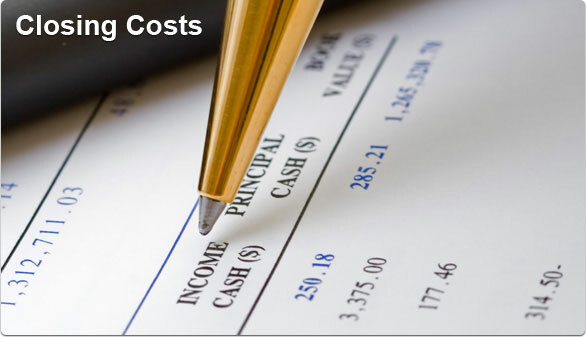 Among homeowner tax deductions that get paid as closing costs, you can count such frequent expenses like the property tax, origination expenses (also known as ‘points’) and the prepaid interest. Alternatively, if you’re looking to minimize your closing expenses, you can apply for a homeowner tax credit; the Homebuyer Tax Credit Advantage Program available to first time buyers in Ohio, for instance, will cover your down payment, settlement fees, or other prepaid costs of up to a total of $8,000. In order to itemize these deductions, you’re going to need form 1040 from the IRS, which allows you to claim either standard or itemized deductions. Irrespective of the type of home you’ve bought, closing costs are itemized deductions. However, the type of property will affect the type of closing costs you pay, as does working with a realtor or an independent home loan broker. For most types of home transactions, you’re going to be using the HUD-1 Settlement Statement, which lists all the closing costs, covered by both seller and buyer. You’re going to have to keep this, if you want to apply for tax deductions later. Is homeowners’ insurance tax deductible? Based on all the above info you might be tempted to believe that just about all homeowner costs are deductible. Well, think again, especially when you ask yourself ‘is home insurance tax deductible?’ As a general rule, for a primary residence homeowners’ insurance is not deductible. For an investment property it is typically an allowed business expense. If you have to pay PMI because of not being able to put a large enough down payment, then you’re going to have to bear this cost without a benefit of a deduction. There’s a special situation under PMI law which makes home insurance deductible for some borrowers. They can claim their private mortgage insurance deductible on Schedule A if their loans came into effect or were refinanced between Jan. 1, 2007, and Dec. 31, 2013, and if they are situated within certain loan amount boundaries. Do bear in mind that this tax break expired in 2013 and was not further renewed by Congress in the following years. Are rental costs tax deductible? By and large, they’re not. Buyers have a slew of tax deductions at their disposal, far more than the rental property tax deductions available on the market. There’s a special and very rare situation in which you own the property above the ground, whereas the original owner is in possession of the piece of land on which it is situated. In such a scenario, you’re effectively renting the ground from the owner; the IRS allows you to rent the land from the owner, so long as you’ve been paying monthly or yearly rent and have a lease that’s for 15 years or longer. Other than that, only 21 US states, plus the District of Columbia, offer renters any kind of tax credit or break and they usually target property taxes. What about home improvement tax deductions? If you took out a home improvement loan of up to $100,000, the interest on it is considered fully deductible by the IRS. In general, HELOCs (home equity lines of credit) also come with fully deductible interest rates up to that limit. Furthermore, improvements for energy efficiency (insulation, windows, heating, A/C) come with a $500 tax credit from the IRS. Some homeowners who have installed technologies powered through renewable sources of energy might even qualify for Renewable Energy Efficiency Property Credits, which can amount to as much as 30 percent of equipment costs.